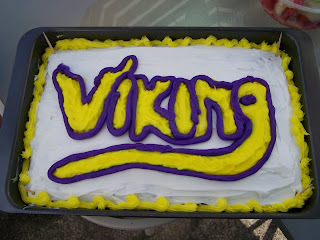 Viking's birthday was last week so we celebrated today. Daddy made a homemade cake and all the 'rents joined in for the fun. Happy Birthday Mira And Devin!